With a 17-year-low unemployment rate — 4.1 percent — and a spike in labor force participation, our country is currently experiencing its strongest growth since the end of the Great Recession. Tax reform and regulatory rollback have contributed to this progress, but even more can be done to ensure that our economy continues to prosper, including removing unnecessary barriers to growth. One action Congress can take to ensure this growth continues is to permanently repeal the harmful Waters of the United States rule. WOTUS was created with the intent of ensuring clean water, a goal all Americans can support regardless of political affiliation. But in reality, this rule became one of the most destructive regulations put in place by the Obama Administration. Under the Clean Water Act, the Environmental Protection Agency was granted the power to regulate navigable waters. WOTUS took it a step further, broadly expanding the EPA’s definition of navigable waters to the detriment of farmers. During a House Science, Space and Technology Committee hearing last year, I asked Reed Hopper, a senior attorney with the Pacific Legal Foundation, just how much this rule affects our agriculture community. Hopper said the scope of WOTUS is so broad, it could impact every single farm in Indiana’s 3rd Congressional District. This represents the worst of unaccountable bureaucracy. A bureaucrat who sits behind a desk in Washington does not have the knowledge that a farmer in northeast Indiana does. Farmers across northeast Indiana should not have to worry that the EPA will come knocking on their door to regulate nearly every aspect of their operation, such as farm ditches or wet spots on their land. Instead, they should have the freedom to focus on their work, which provides food and jobs for Hoosier families. Last year, I led the Indiana delegation in sending a letter to EPA Administrator Scott Pruitt calling for a review and repeal of the WOTUS rule. Thankfully, Pruitt understands the value of making decisions at the local level and announced a two-year delay of WOTUS earlier this year. While a delay is a step in the right direction, Congress should work to permanently repeal this egregious overreach by the federal government so that farmers have the certainty needed to make long-term investments. The good news is a legislative vehicle that can carry repeal already exists. This year, during the farm bill debate, Congress can repeal WOTUS once and for all. I hope my colleagues in both the House and Senate will join me in support of repealing this disastrous rule as we consider the next farm bill. A permanent repeal of WOTUS would bring much-needed Hoosier common-sense to Washington rather than unnecessary, bureaucratic red tape. 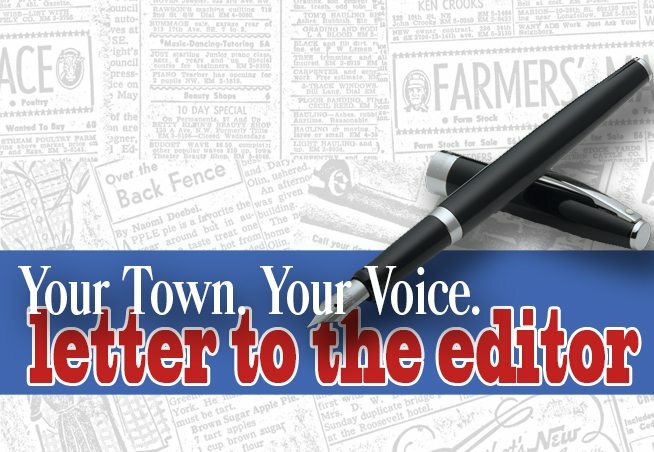 To submit a letter to the editor, email letters@news-sentinel.com. Or mail to Letters, News-Sentinel.com PO Box 102, Fort Wayne, IN 46801.